Who, seeing Peter and John about to go into the temple, asked an alms. Then Peter said, Silver and gold have I none; but such as I have, give I thee: In the name of Jesus Christ of Nazareth rise up and walk (Acts 3:1-6). 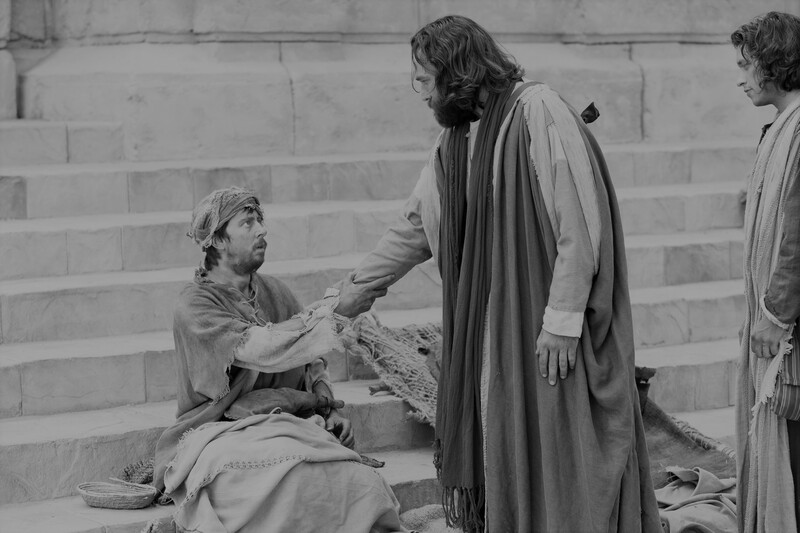 The lame man asked with expectation for alms, but Peter and John wanted to give him something better – something that would last. Had Peter and John given the lame man gold and silver, how long do you think that would have lasted? At some point, he would have run out of money and the only choice he would have had was to go back into the lifestyle that he thought he left. He would return to begging. This man had a problem, but what he was asking for was not the solution to his problem. Just like the lame man, I was sitting at the gate of Beautiful. As a result of when I went through, I was crippled with fear, unbelief and doubt. I was sitting in pity when I should have been walking in power. I was on the outside when I should have been in the inside. Your problems and painful experiences may have brought you to the gate, but it can’t stop you from going through the gate. I was praying for money, but money wasn’t my problem. My problem was that I didn’t trust God. When Peter told the man to look on him and John, the man immediately looked at them to be his source. And that was me. I was looking to my job to be my source when I should have been looking to God to be my Source. The man was looking at their hands, but Peter wanted him to know that what he needed wasn’t in his hand, but in his mouth. In his mouth was the power to command things, to prophesy, and to change his situation. I thought it was money that I needed, but I needed wisdom. If I have wisdom, I have riches (Proverbs 8:18). I thought I needed money, but it is healing that I need. God never hurt me and He never disappointed me, but I know that I don’t have the trust in Him that I once had and I need God to build up what the enemy tried to tear down. I need Him to restore that childlike faith. The lame man spent most of his life depending on people, but God wanted him to depend on Him. When Peter took him by the right hand and lifted him up, it took trust and faith to believe not only that he could rise, but to do something he had not been able to do since birth – walk. But one thing is needful (Luke 10:42). What I need and what God wants is for me to seek a better relationship with Him. It’s time to go from begging to believing. I’ve been giving Him my hands (seeking a handout), but what God really wants is my heart. This entry was posted in Uncategorized and tagged alms, begging, believing, faith, gate, gold, hand, heart, john, lame, money, mouth, need, peter, silver, trust. Do you look forward to the new year because you depend on that income tax return every year? Some of you have probably already calculated and planned how you are going to use it this year. Unfortunately, that’s me, too. When I recently found out that I may be receiving a lot less than what I normally get, I started worrying. I even panicked. (And no, I don’t want the money to go shopping or take a vacation or anything like that). The first thought was, I need a second job. Then I started thinking, I need to do this. I need to do that. Apparently, the Lord started shaking His head and got tired of watching me trying to figure out how HE was going to take care of me because the next thing I know He was giving me two scriptures and told me to meditate on them. Matthew 6:8 – Your Father knows what things you have need of before you ask Him. Later that same evening, I went to bible study and the woman of God was teaching about ways we serve mammon rather than God (Matthew 6:24). When she mentioned such things as being anxious over unmet needs, fear about the future and expecting the government to help you, I knew that was me and I repented for not trusting God as I should. After she sat down, the man of God read from Isaiah 9:6. For unto us a child is born, unto us a son is given: and the government shall be upon His shoulder. We have a choice. Either we can trust in the world system (government), which will one day fail or God’s system, which lasts forever. So when I thought about it later, I realized I wasn’t acting any differently from the woman who is seeking a man to take care of her (and/or her children) financially or a woman who wants God to heal her child, but is afraid to trust Him to supply her financial need if the SSI benefits are cut off. Not every single mother or divorced woman is money hungry or greedy. They do it to live, to survive and to be fed, but the psalmist gives us a solution for this in Psalm 37:3. Trust in the Lord and do good…you shall be fed. To trust in God means to believe, to depend on, put all your confidence in or to be fully persuaded that He is able to perform what He promised. Isn’t it sad that some of us pray to a God that we don’t trust or read a bible that we don’t fully believe? That’s probably one of the reasons why God allows certain situations in our lives – to teach us how to trust Him. 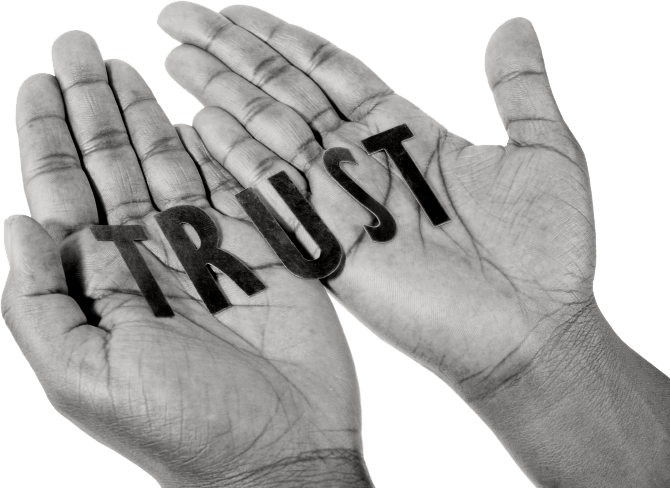 You see, you don’t need trust for something that you already have or for something that you can already see. The world teaches that you have to lie, cheat or steal in order to get a spouse or a promotion or more money, which is evil, but the psalmist says, ‘Do good’. You don’t have to hurt people in order to help yourself. Don’t do evil to others just because they have done evil to you because God does not let evil men succeed (Psalm 37:33). Instead, wait on the Lord and keep His way (Psalm 37:34). For years, I’ve been trying to live off of what I make (which just isn’t enough). I give tithes and offering, but there is something else you and I can do. We can sow seed because God multiplies the seed you sow (2 Corinthians 9:10). A good example would be the boy with five barley loaves and two small fish. He didn’t eat his seed, he sowed it and God multiplied it. He, along with thousands, were fed and there were twelve baskets left over of the fragments that remained, which was OVER and ABOVE (John 6:13). Also, learn how to manage your money better. Don’t waste or squander your income with riotous living. There are some things we buy that we really don’t need. The world teaches us to spend, which leads to debt. Owe no man anything, but to love one another (Romans 13:8). But God teaches us how to be debt-free by giving (with expectation that you will receive). Give and it shall be given unto you; good measure, pressed down, and shaken together, and running over, shall men give into your bosom. For with the same measure that you mete withal it shall be measured to you again (Luke 6:38). Jesus told Simon Peter, “I will give you the keys of the kingdom of heaven”. Those who are in Christ Jesus have keys also. The key may be a revelation or a mystery or an instruction to obey. From time to time, we quote Revelation 3:8 (I have set before you an open door and no man can shut it), but I never realized until now what caused the door to be opened. One of the things the church of Philadelphia did was they kept (obeyed) His word. In Luke 5, Peter was toiling all night, but never caught any fish. Jesus said, Launch out into the deep and let down your nets for a draught. That was a key. Peter was a fisherman and to him, he knew what he was doing, but now Someone came along and told him how to fish another way – a better way (since his way wasn’t working). I’m sure Peter was tired and frustrated (probably even hungry), but he accepted change, believed, and obeyed. Nevertheless at Your word I will let down the net. If you and I would apply the keys God has given us, we will be able to open doors that have been shut in our lives for years. Just as Peter’s nets became full, our nets (bank accounts) will become full when we obey the Lord’s command. Sometimes we think money is our problem, but disobedience is really our problem. But if you will obey God, He will not withhold no good thing from you. The Lord is your Shepherd and you’re not going to want for anything this year. God is watching over you and since He neither slumbers nor sleeps, that means you can rest – in Him and in His word. Help us, Holy Spirit, to trust in the Lord and to do good. This entry was posted in Uncategorized and tagged good, money, need, trust.